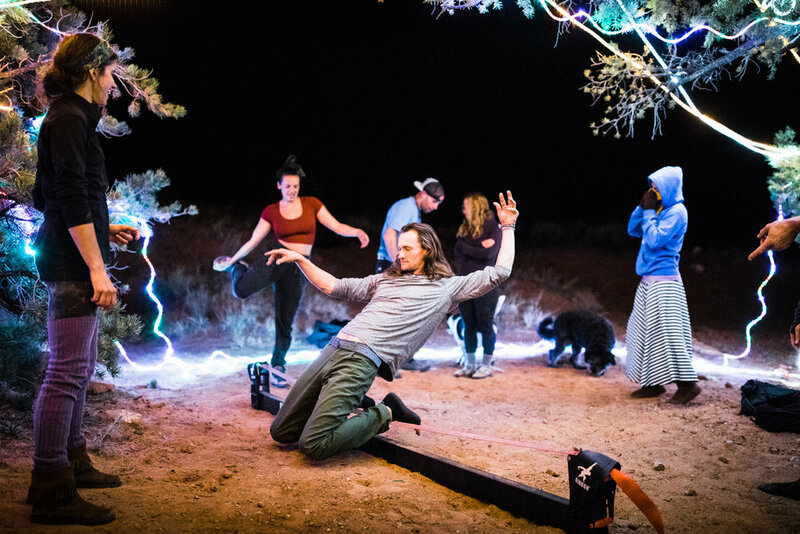 A few weeks ago some of our Moab friends invited to join them for a retreat in the desert and we honestly had no idea what to expect! With this crew, it could mean anything, but we've always had a good time with them so we decided to head out there for the night. Once we got there we learned that our friend Tiff was launching her retreat business, Wild Sol Retreats, and this was a sort of "test run" that she was throwing for all her buddies to hash out details and see how everything was working. 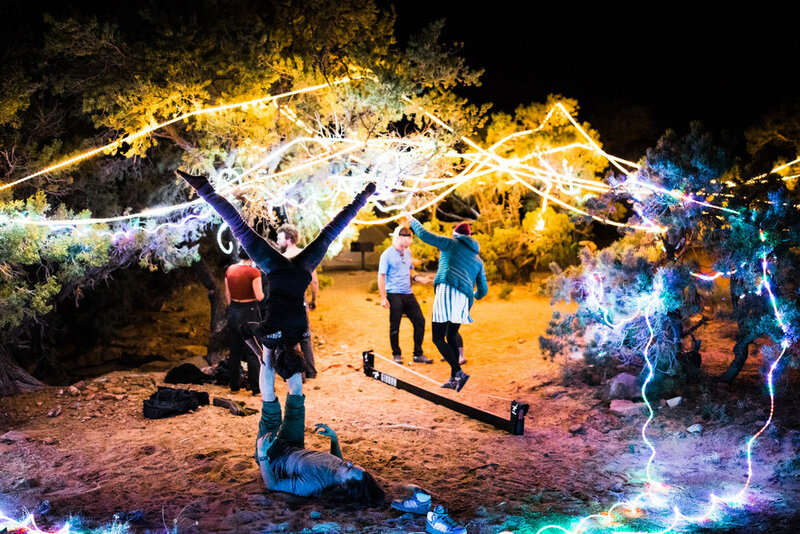 We had so much fun laughing around the campfire, enjoying her delicious home cooked soup + quinoa salad, singing songs, and of course raging in the desert. 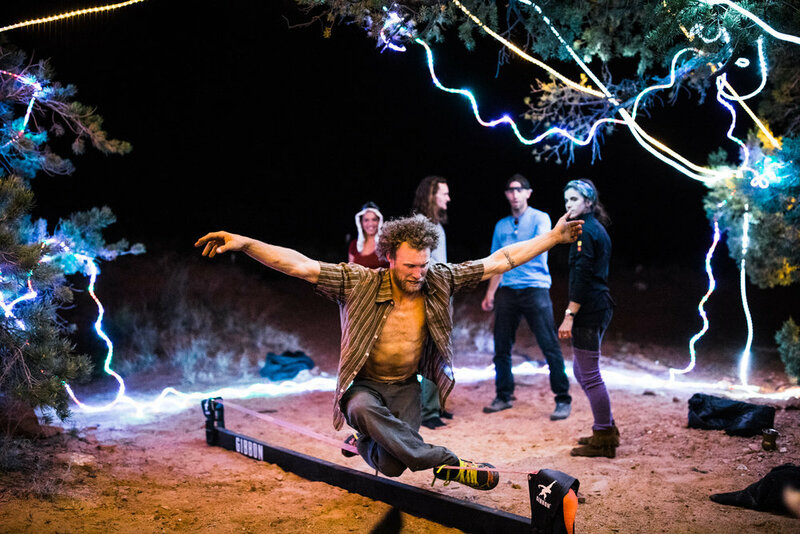 The party was definitely the cherry on top of an amazing night filled with dancing, acro yoga, trick-lining, and even some net-throwing (what do we call this?). In the morning everyone woke up for yoga, coffee, and a mini acro-yoga clinic. It was so relaxing and refreshing to spend time in the desert with our friends, with no cell phone service, just focusing on each other and the place we love! 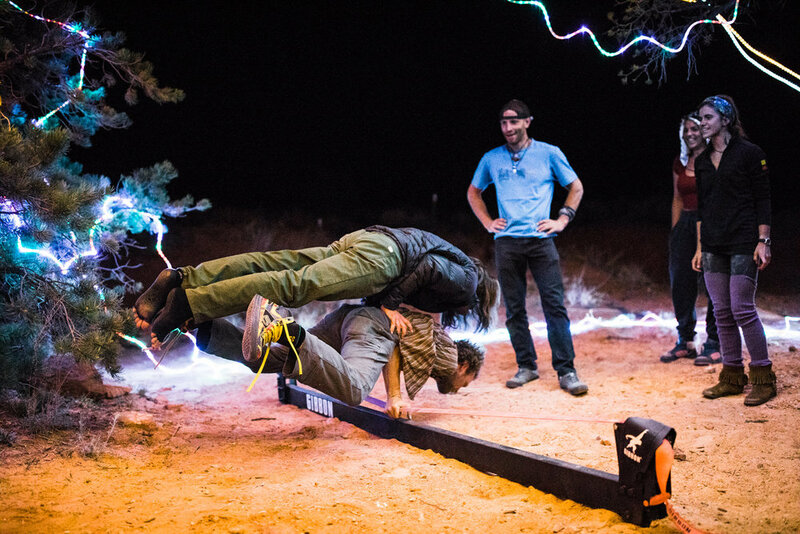 Tiff is so good at organizing activities and helping people experience Moab in a new way, I would definitely reccomend reaching out to her if you're planning a trip to Moab. 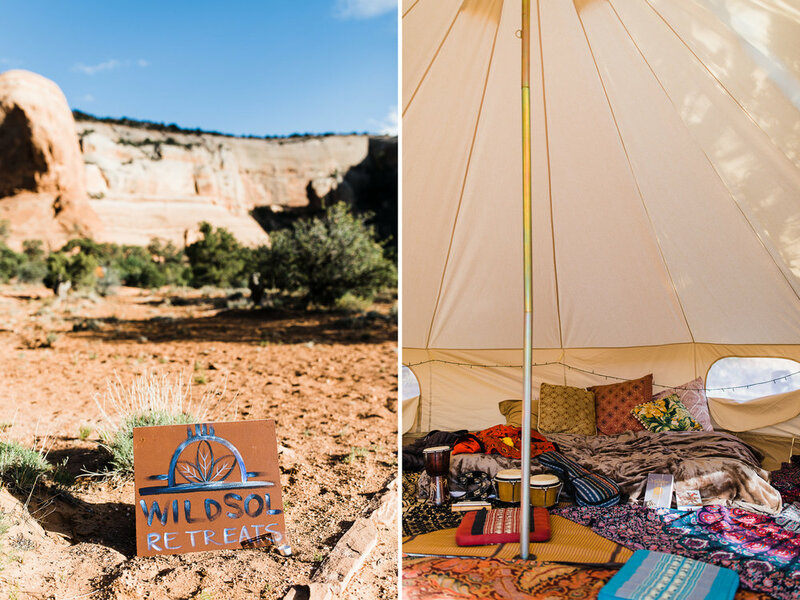 Since weddings are pretty much always on my mind, I was thinking this retreat would be perfect for a bachelorette party, or even for an intimate wedding weekend in the desert!